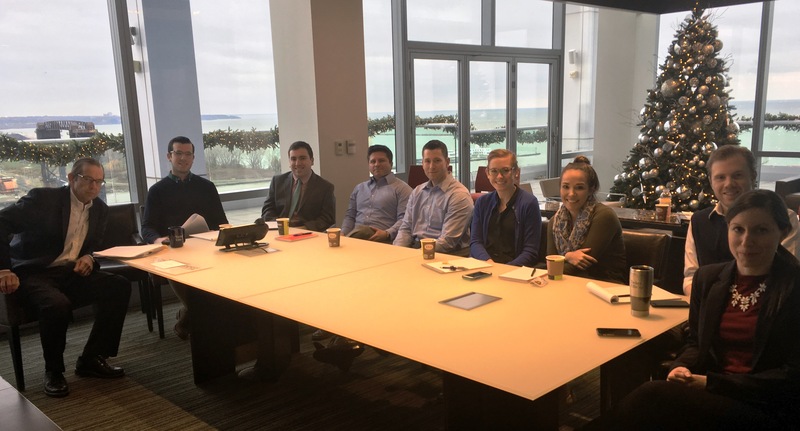 Our Junior Attorney Corps (JAC) is an innovative pilot program designed to give our first- and second-year associates a more broad-based initial 24 months of law firm experience. One of the goals of the program is to develop, promote, and align individual interests and skills through a comprehensive approach to professional development. Attorneys participating in the JAC are not assigned to a particular practice group, but may work across practice groups and departments throughout the firm. The JAC also provides a unique forum where members can share experiences, plans, and expectations with other junior attorneys, receive intensive training and mentoring, and explore different areas of law to discover the best fit for them in our firm. The program aspires to build better lawyers faster and help make careers for all of our people by facilitating the smoothest possible transition into the practice of law for our most junior lawyers. The JAC is led by a partner who serves as a principal coach and mentor to the group. All incoming first- and second-year attorneys are also assigned an individual mentor to help with general law firm integration, answer questions, and provide opportunities for professional growth. JAC meetings are held on a monthly basis and focus on common issues faced by junior attorneys, including time entry, business development, ethics, and law firm processes. Senior attorneys from all of the firm’s department and practice groups are encouraged to assign JAC members to matters and teams, carefully ensuring that no particular assignment accounts for the majority of an associate’s work. At the end of two years, each JAC attorney is assigned to a department and practice group based on a combination of factors, including the broad range of experience afforded by this introductory group and each individual attorney’s interests and strengths. Bob Tucker speaks to our new associates about the 2003 founding of Tucker Ellis LLP (December 2016).